The award will comprise of three levels: Bronze � Silver � Gold. All that is required is a copy of your log showing the days/times that you worked either of the two callsigns. Only the two W.A.B. callsigns will count for the award which is open to all radio amateurs and SWLs. The cost will be �3-00 and certificates will be sent in PDF format unless requested otherwise. 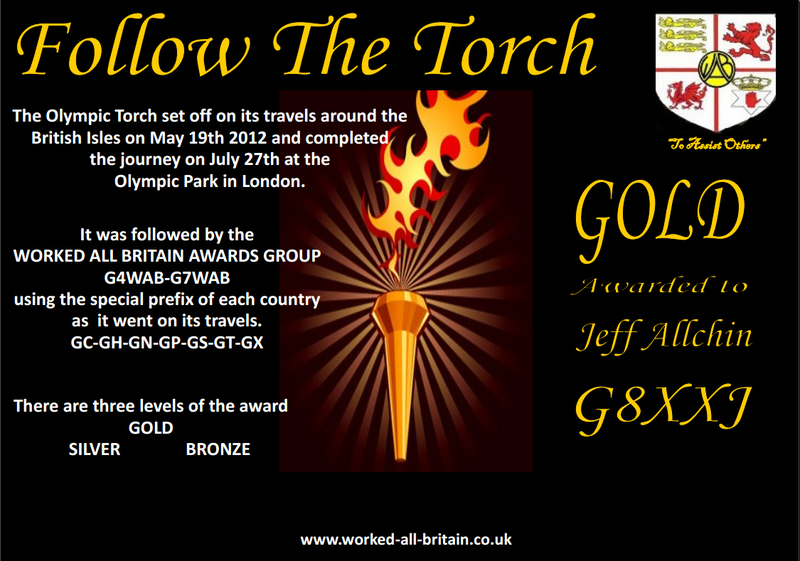 Claims have to be with the Awards Manager (see the Committee page) before August 31st 2012. Please note that QSL Cards are NOT required. 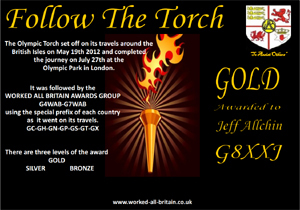 We do not routinely send out or collect QSL cards, and no special one is being issued for this event, it is all about the award. However, if you require one for other purposes, please QSL via the bureau to G4WAB or G7WAB as appropriate. In order to save resources and work load, we would ask that you do not QSL unnecessarily. Payment for claims can be made by PayPal, (see "CLAIMING AWARDS FROM YOUR ARMCHAIR!" on the Index page), or by post, cheque payable to �W.A.B. Awards Group�.